Visit our friends at the 2017 show taking place July 22-23! Tell ’em American Geode sen’cha! This is the 3rd year we have been running this amazing Gem Show & Festival in the Mohawk Valley, New York. 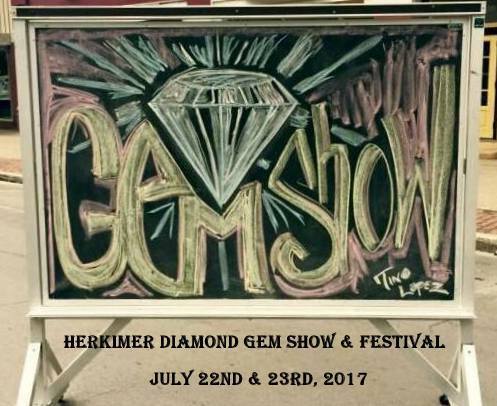 Our goal is to expose the area to what our Herkimer Diamond has to offer, as well as bringing the Gem Show circuit to our area. Together with the large gem show, we have the amazing Festival that brings in such talented musicians and devoted vendors from the area. We have had glass blowing demonstrations, geode crackers, reiki practitioners, massage therapists, artists, local miners, national TV personalities, authors, handmade crafters, amazing food vendors, holistic workers, local handmade goodies and so much more! Come join us this year, 7/22 & 23 at the Herkimer County Fairgrounds, Frankfort, NY. The show runs from 9am to 5pm, but camping is permitted. This show has drawn in thousands of attendees, who have enjoyed being part of such a unique event in our area. Maine is known for its pegmatites, lobster rolls, beautiful shores and forests, and a terrific gem, mineral and jewelry show that takes place July 9-10, 2016. 9am to attend the field trip. Sponsored by Oxford County Mineral & Gem Assoc. Treasures of the Earth Gem, Mineral, Jewelry & Fossil Show in Pennsylvania! 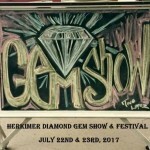 American Geode will be selling our unique and unusual geodes at this special show in Pennsylvania. We have many friends in the Pittston area. They are a fun, smart, and very nice group of people. 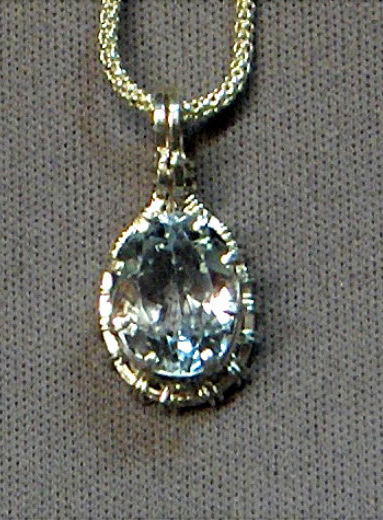 Not only is the show full of friendly dealers of gems, minerals and fossils from rough to high-end, and everything in between, but you will also find some jewelry dealers with unique and affordable pieces, and gem and mineral artwork is also found at this very special show. Please tell them that “American Geode sen’cha!” as they will get a real kick out of that at the door if you tell them you are also friends with American Geode. Then come on over and see Joe and Charles at the American Geode to talk about geodes, gems and geology, or any other interesting topic. American Geode loves to talk with our clients, and with fellow rockhounds and gem, mineral and geode enthusiasts. Have a great time and #GetoutandRockhound! Gem and Mineral Shop in Cleveland, Georgia. For the most up to date events, check out our Gem, Mineral, and Fossil Newswire. While in Northern Georgia, visiting places like the Dahlonega Gold Museum, we drove by a gem and mineral shop called Rocks, Relics, and Beads (5419 U.S. 129, Cleveland, GA 30528). Thank you Lord it was open! This gem and mineral shop is run by a very informative, gregarious veteran of the US Military who is also a rockhound. In the back of the shop we spied his lapidary saws and wheels. Where was the first Gold Rush? California? If asked that question during your local pub trivia, the answer is Dahlonega. The Dahlonega Gold Rush was the first American Gold Rush. I learned this, and the geology of Georgia that produces gold alongside veins of quartz at the Dahlonega Gold Rush Museum. We had one hour before the museum was closing and the gentleman who greeted us very generously made sure we learned and saw it all during that hour.